On the Sunny Side: The Danbury Mad Hatter Chorus, 1966-2016. Wynn Gadkar-Wilcox. Mad Hatter Chorus, 2017. 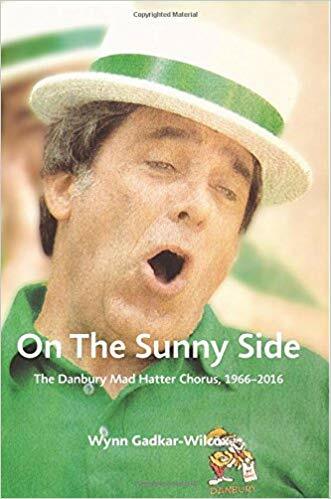 In celebration of the fiftieth anniversary of the Mad Hatter Chorus located in Danbury, Connecticut, Wynn Gadkar-Wilcox has written the definitive history of the group. The Mad Hatters became a chartered group and official chapter of the Society for the Preservation and Encouragement of Barbershop Quartet Singing in America (SPEBSQSA) amidst a national resurgence of interest in barbershop music in the 1960s. 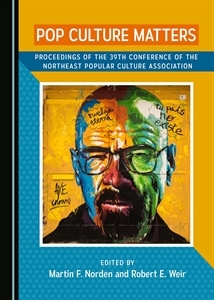 Over the next five decades, the group expanded, contracted, and expanded again all the while defining and reinventing itself to reflect evolving cultural and demographic changes in western Connecticut and eastern New York. This book collects stories about the Mad Hatters’ victories and challenges, its great personalities and conflicts, and its experiments with remaining relevant and fun in the rapidly changing twenty-first century. Gadkar-Wilcox has been singing in barbershop quartets since college. He joined the Mad Hatters in 2010. He is now the leader of the baritone section and also a member of one of the chorus’ quartets, The Travelling Men. His vast years of experience as a performer and chorus member position him beautifully to understand the appeal and the contributions that male singing groups have made to American popular culture. Readers are reminded of the traditional songs that have been preserved through barbershop quartets and of the social roles that fraternal orders have played in American communities and in supporting the arts. Gadkar-Wilcox traces the rise and fall of the chorus over the past five decades locating the group’s fluctuating membership within the larger socio-economic and cultural changes that have affected the greater Danbury area. His book focuses mainly on the chorus’ membership numbers. Each chapter recounts the number of men who were full members of the chorus during the eras and years on which he focuses. He includes great details about the ever-changing size of the group and the numbers of singers. The author often reflects on the reasons that membership may have declined and then explains the efforts that the chorus made to recruit more singers. The author clearly feels great affection for the men with whom he sings. He includes numerous anecdotes about fraternal shenanigans and male bonding. He offers readers a personal look at the personalities and social lives of the leaders and singers of the Mad Hatters. He also discloses some of the legendary fights and disagreements that affected the group and its membership. The personal tone of the book animates the characters and moments that he feels illustrate this group best and make the book a breeze to read. This book would work well in a music history, urban studies or gender studies class. On the Sunny Side will certainly appeal to local readers and to fans who have probably seen the Mad Hatters perform, or perhaps even hired them for a Valentine’s Day singing telegram. This is a wonderfully written and heartfelt book that can be enjoyed by all.